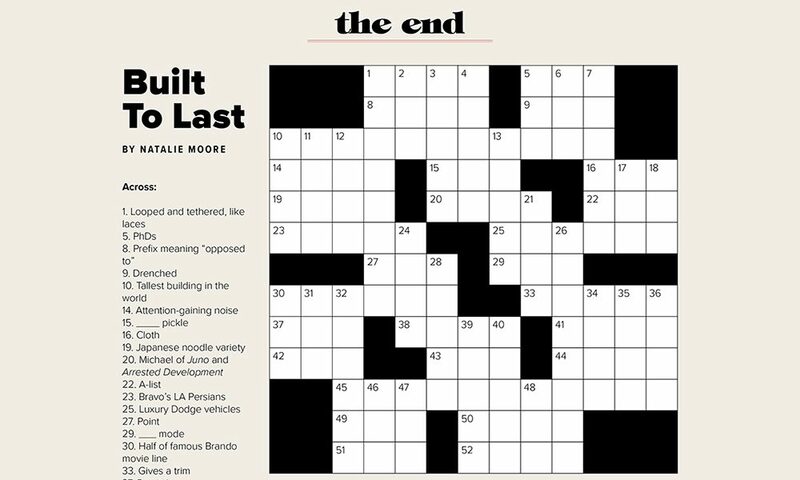 Your cheat sheet for the "Built To Last" crossword puzzle on page 140 of the latest issue. The answers to SL's latest crossword puzzle can be found below. On the final page of saratoga living‘s new Design Issue—p. 140, for all of you keeping track—there’s a crossword puzzle, entitled “Built To Last.” Below, is the answer key—or for some of you, just the world’s greatest cheat sheet.